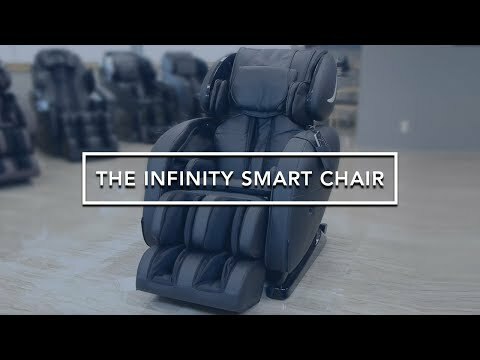 The timeless Infinity® Smart Chair contains a comprehensive list of state-of-the-art features and techniques. 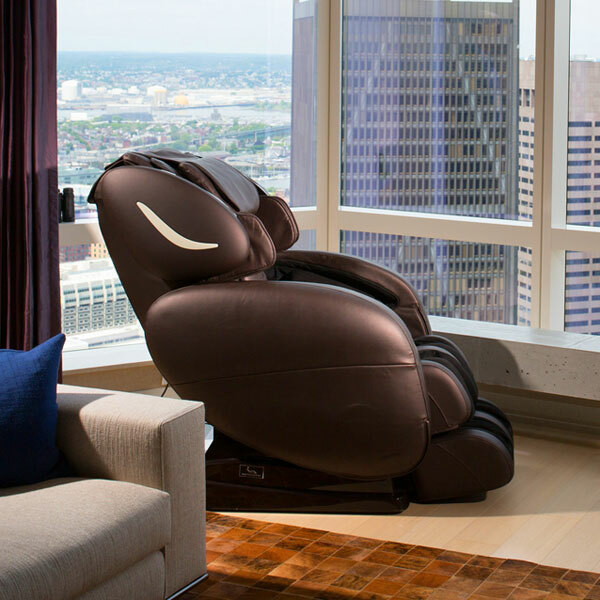 This dynamic massage chair suits a wide variety of people with its customizable and targeted massage. Escape to your personal paradise through the chair’s speaker system. Enjoy supreme relief with an unbeatable decompression stretch. Other top features include lumbar heat, a body scan sensor system, rejuvenating foot rollers, and chromotherapy lights to boost your mood. Experience the perfect combination of technology, relaxation, and aesthetics with the Smart Chair today. For In - Home service, Infinity Massage Chairs will arrange all covered parts deemed necessary, to be sent to the consumer and, if necessary, an authorized service provider to repair the product at the customer's residence, at no charge to the customer. If a particular part is no longer manufactured, Infinity Massage Chairs may replace your product with a similar product. Under no circumstances shall the retail replacement value exceed the original net price paid for the product. In the event you choose not to accept a replacement for your product, Infinity Massage Chairs is no longer responsible for making repairs under the warranty coverage. Warranties do not cover any loss or damage resulting from: improper installation; unauthorized repairs; use in a commercial or corporate setting; alterations or modifications of original condition; improper use of electrical/power supply; loss of power; electrical disturbances and power surges; dropped product, including but not limited to remote controls; a malfunction or damage resulting from improper use or unreasonable use or maintenance; failure to follow operating instructions; transportation damage; theft; abuse; misuse; neglect; vandalism; or environmental conditions(fire, floods, rust, corrosion, sand, dirt, windstorm, hail, earthquake, or exposure to weather conditions); loss of use during the period the product is at a repair facility or otherwise awaiting parts or repair; and products purchased from unauthorized dealers. Damage incurred due to shipping and handling does not constitute a defect under this warranty.Softening/hardening of foams and filling composites in pillows and pads does not constitute a defect under this warranty as those items naturally change with use.Fading, wear, and pilling of fabrics does not constitute a defect under this warranty as those conditions naturally occur with fabrics. Natural markings and grain and dye variations in leather do not constitute a defect under this warranty, as no two pieces of leather are alike. Failures of attach points, such as, but not limited to: stitching, Velcro, and zippers, do not constitute a defect under this warranty. To initiate an Infinity Care Warranty claim, simply call our Customer Support Team at 603-910-5000.